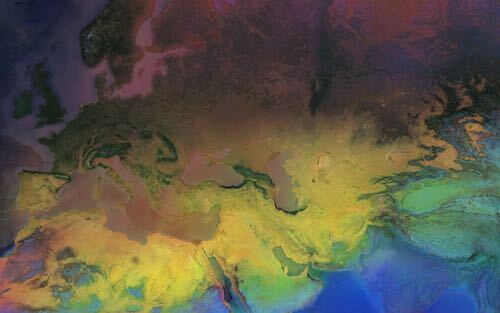 The EarthEnv project is a collaborative project of biodiversity scientists and remote sensing experts to develop near-global standardized, 1km resolution layers for monitoring and modeling biodiversity, ecosystems, and climate. The work is supported by NCEAS, NASA, NSF, and Yale University. 14 metrics quantifying spatial heterogeneity of global habitat at multiple resolutions based on the textural features of Enhanced Vegetation Index (EVI) imagery acquired by the Moderate Resolution Imaging Spectroradiometer (MODIS). Multiple global remote sensing-derived land-cover products and consensus information on the prevalence of 12 land-cover classes at 1-km resolution. 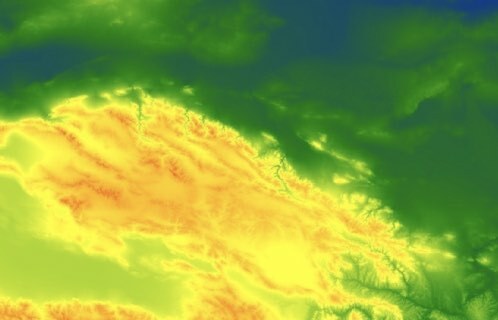 Twice-daily remote sensing-derived cloud observations at 1-km resolution integrated over a 15-year period. 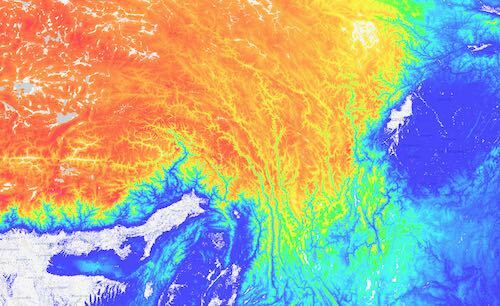 Derived from the CGIAR-CSI SRTM v4.1 and ASTER GDEM v2 data products, these data have been processed and merged to provide continuous coverage of ~91% of the globe. Processing and merging methodology are available in Robinson et al. (2014). Near-global, spatially continuous, and freshwater-specific environmental variables in a standardized 1km grid. We delineated the sub-catchment for each grid cell along the HydroSHEDS river network and summarized the upstream environment (climate, topography, land cover, surface geology and soil) to each grid cell using various metrics (average, minimum, maximum, range, sum, inverse distance-weighted average and sum).